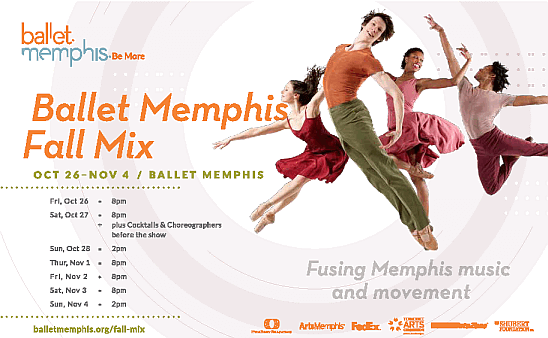 FUSING MEMPHIS MUSIC AND MOVEMENT. The Memphis Project, which received worldwide acclaim for creating authentic new works set to Memphis music, is ready to make audiences fall in love with Memphis again by pairing young choreographers and dynamic current local musical artists. New works by Steven McMahon and former Ailey II dancer Alia Kache will pair with IMAKEMADBEATS of Unapologetic Sounds and other local musicians, while Trey McIntyre’s Memphis Suite, which includes B.B. King and Elvis to Al Green and Rufus Thomas, will anchor the show.